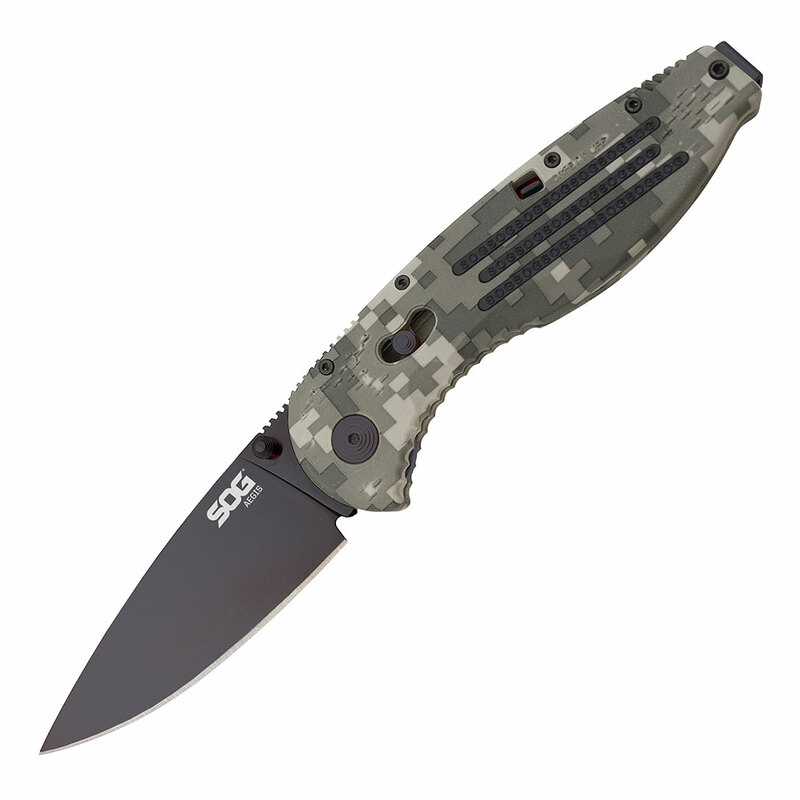 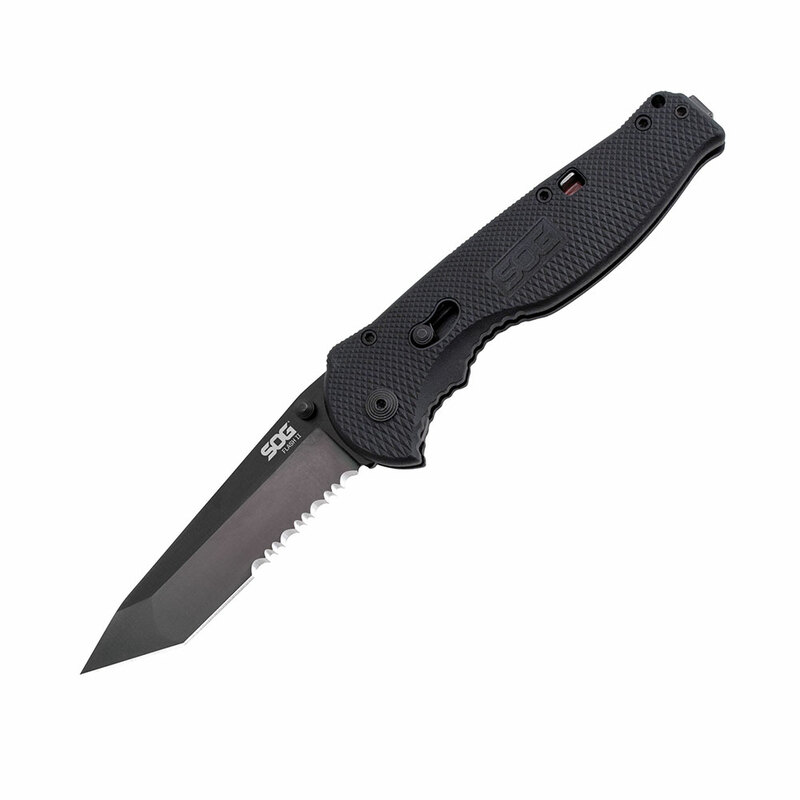 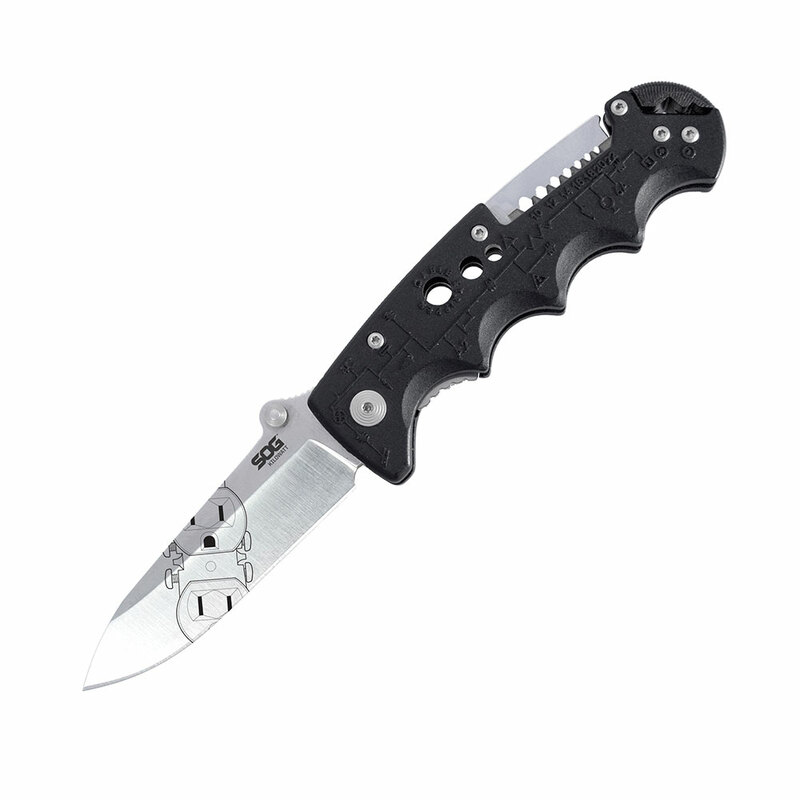 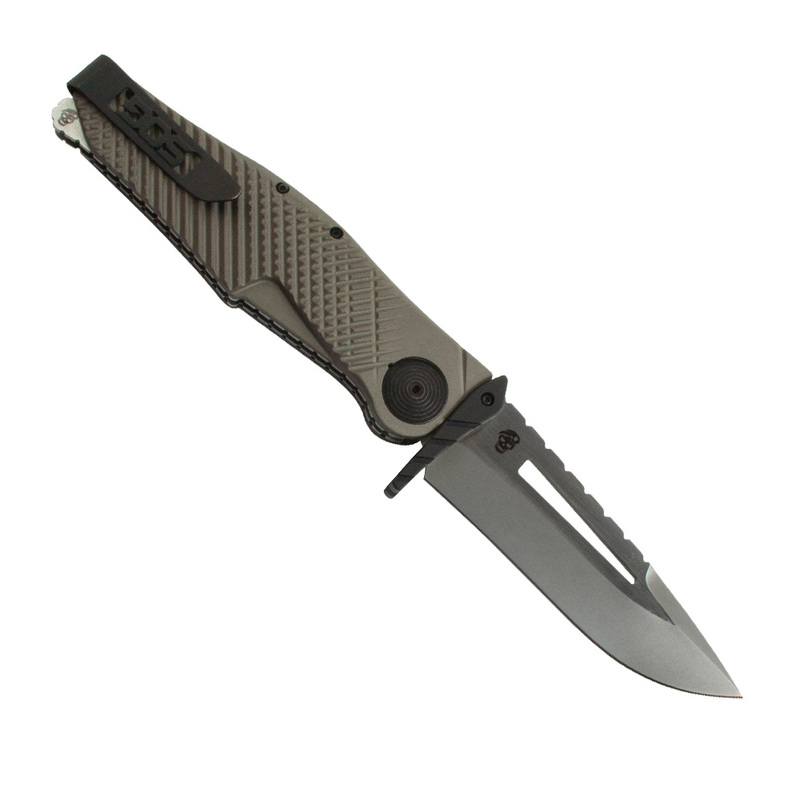 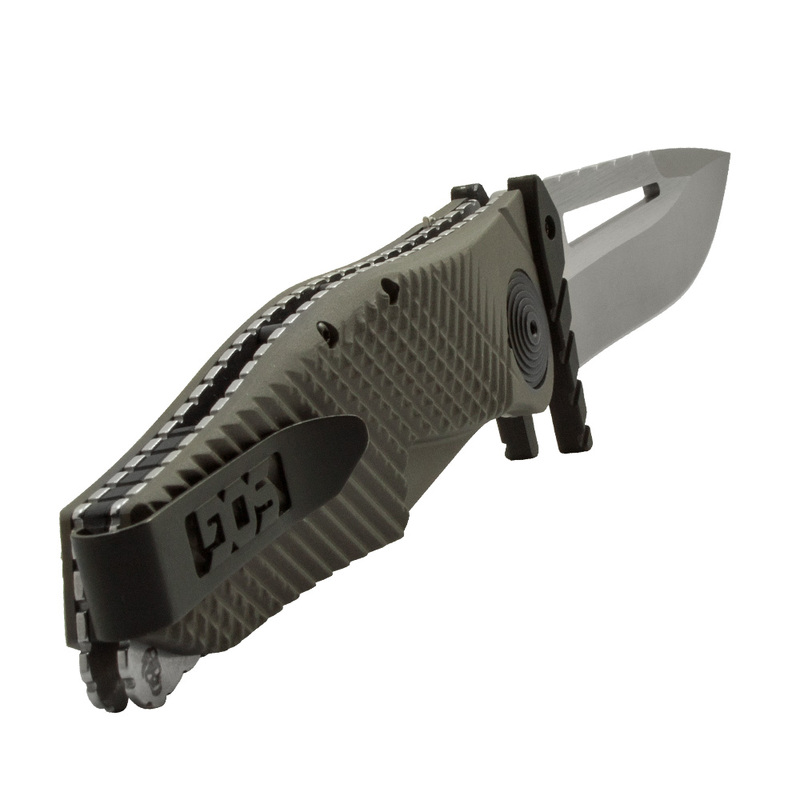 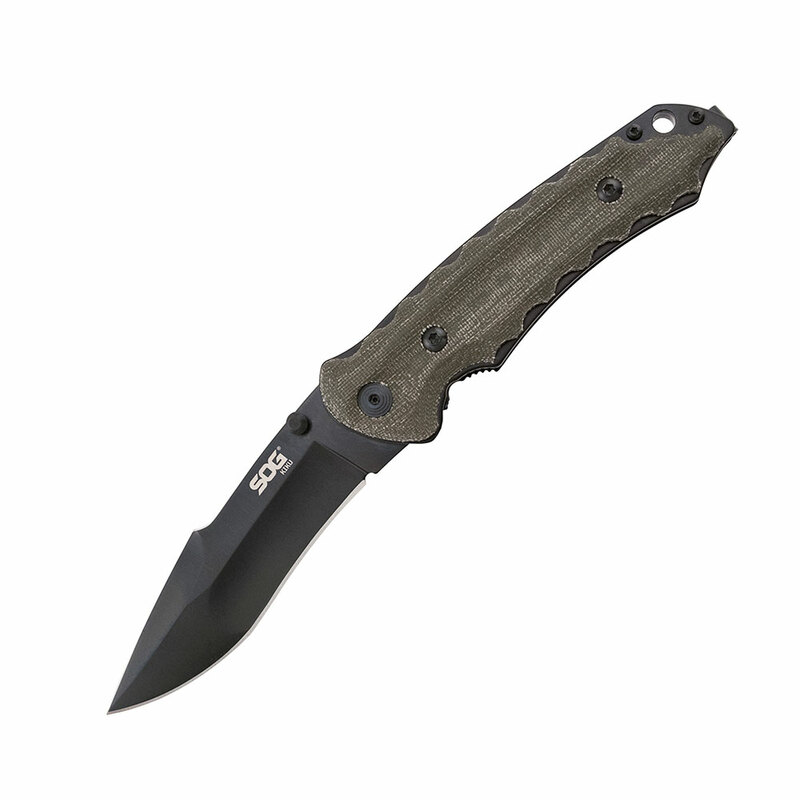 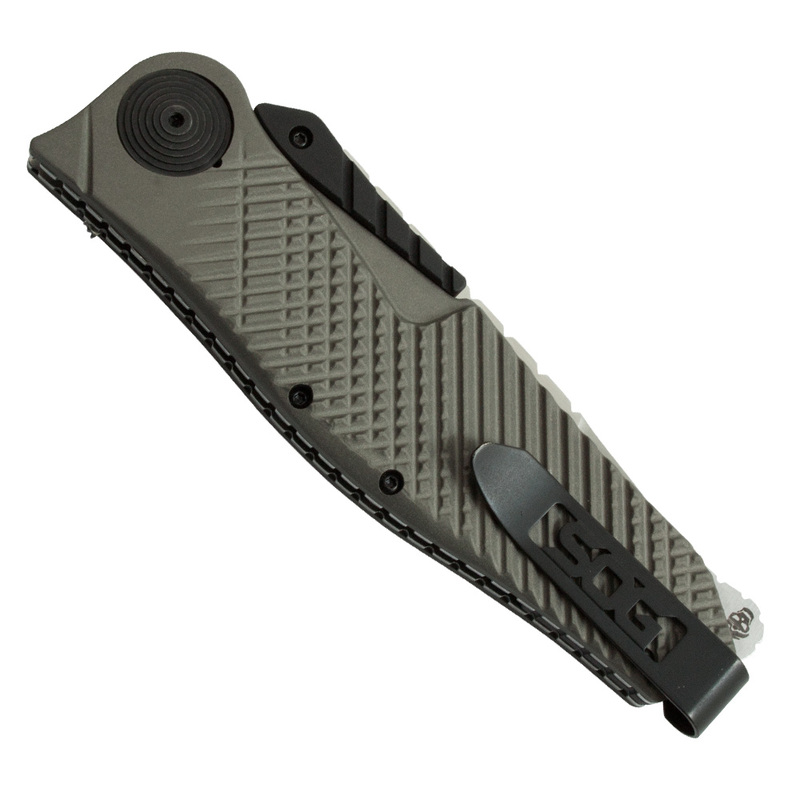 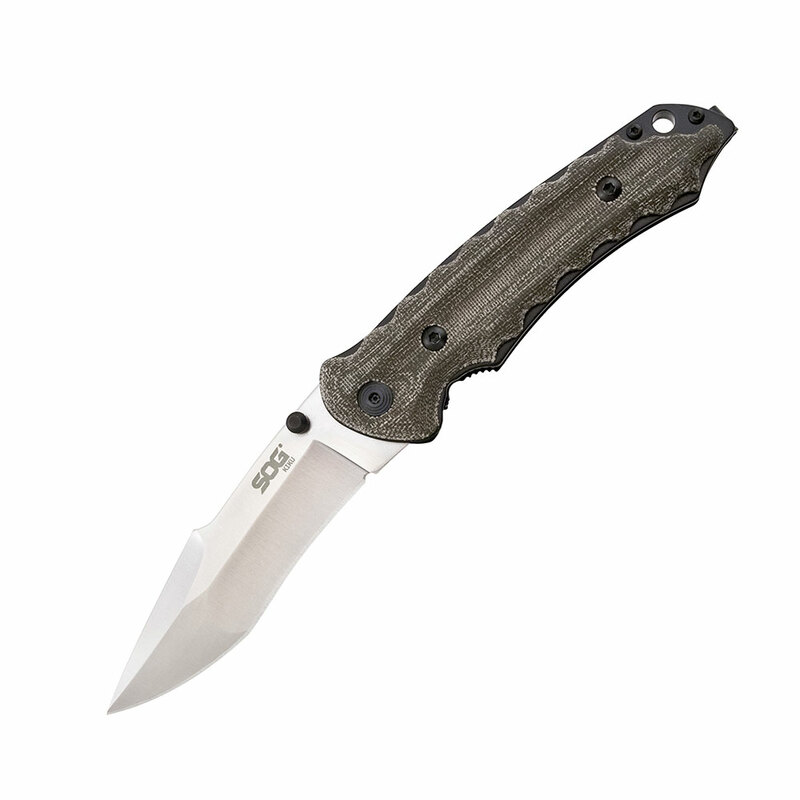 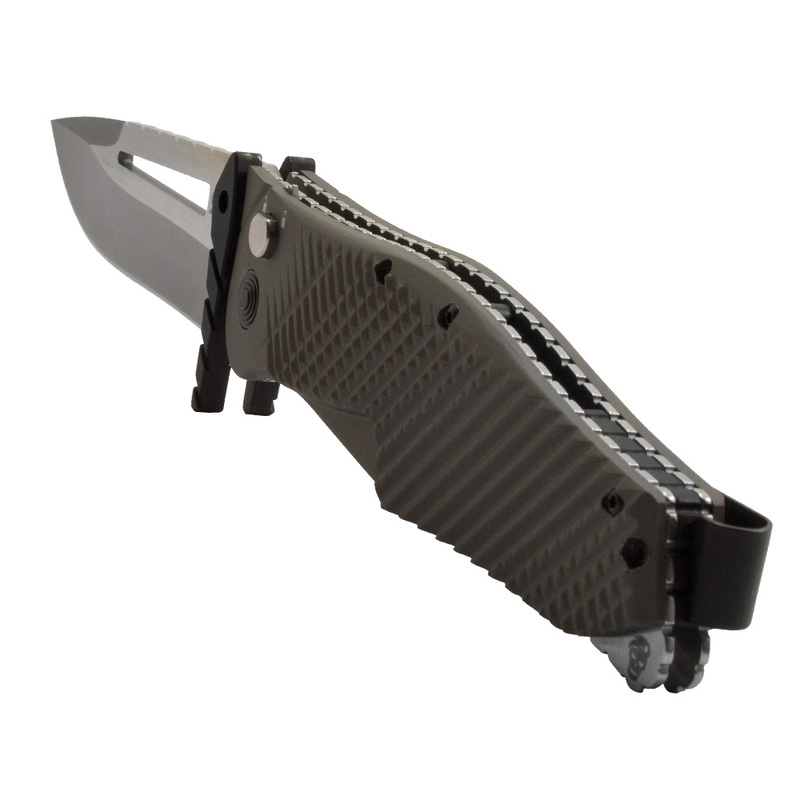 This extra large assisted folding knife uses SAT 2 to propel the VG-10 blade out. 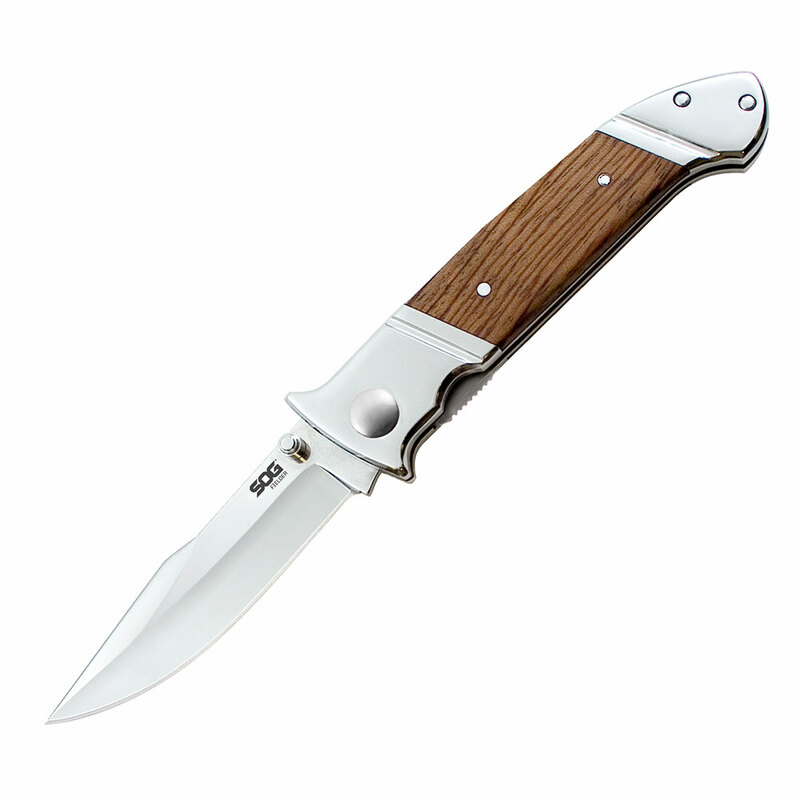 Just by opening this knife, you’ll know how it got its name. 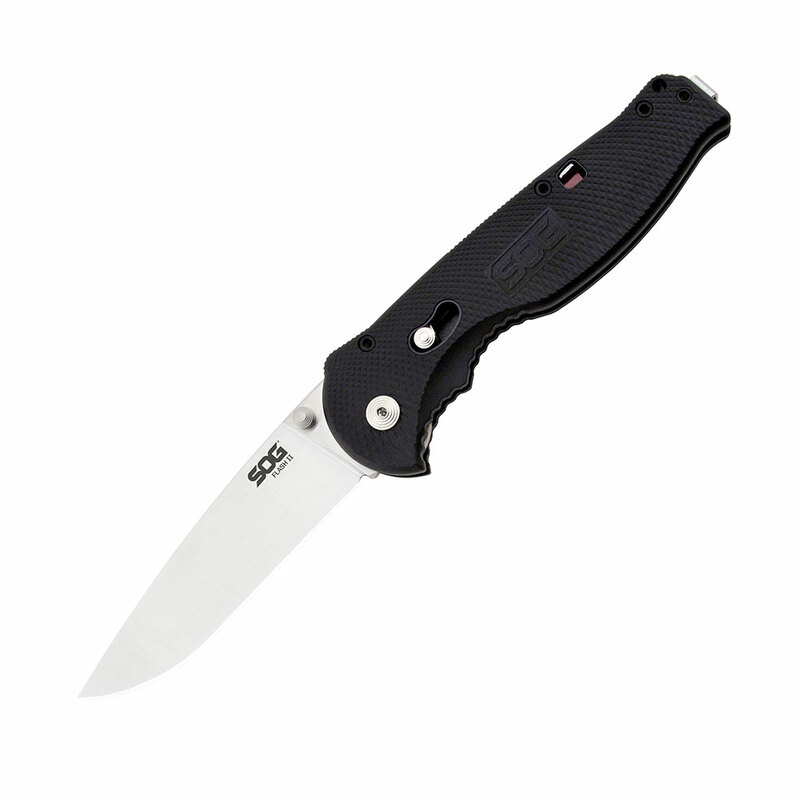 It features a patented cross guard that not only protects the hand when open, but also actuates opening of the blade. 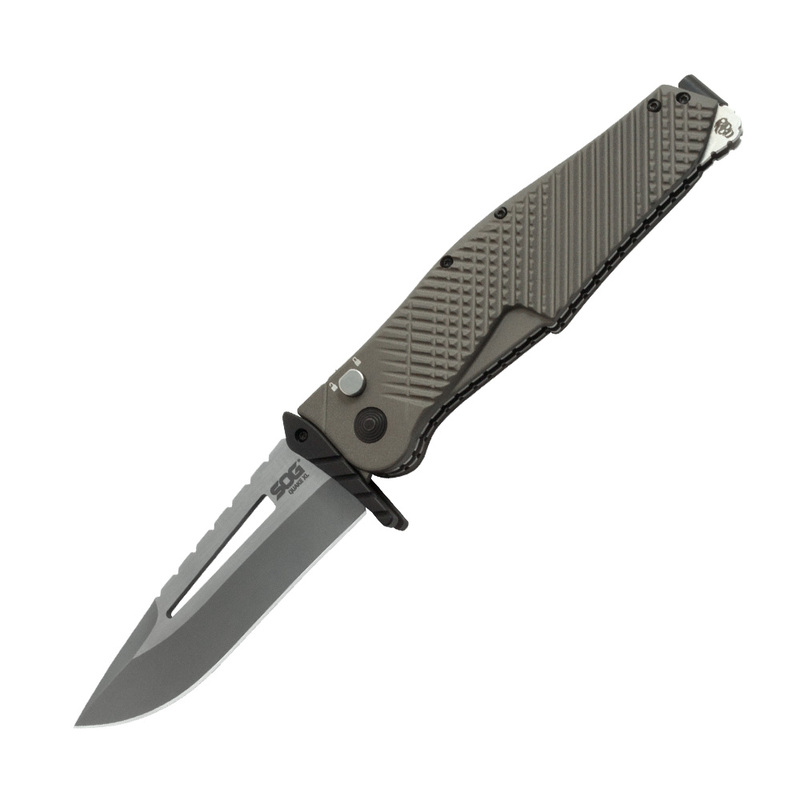 Just by opening this knife, you’ll know how it got its name. 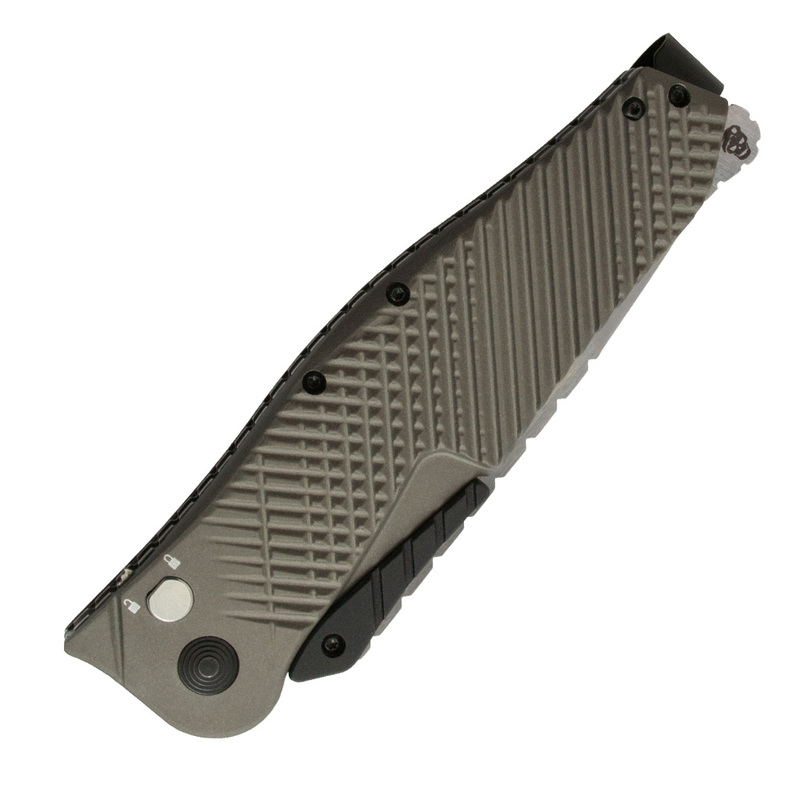 The Quake is one of our largest folding knives. 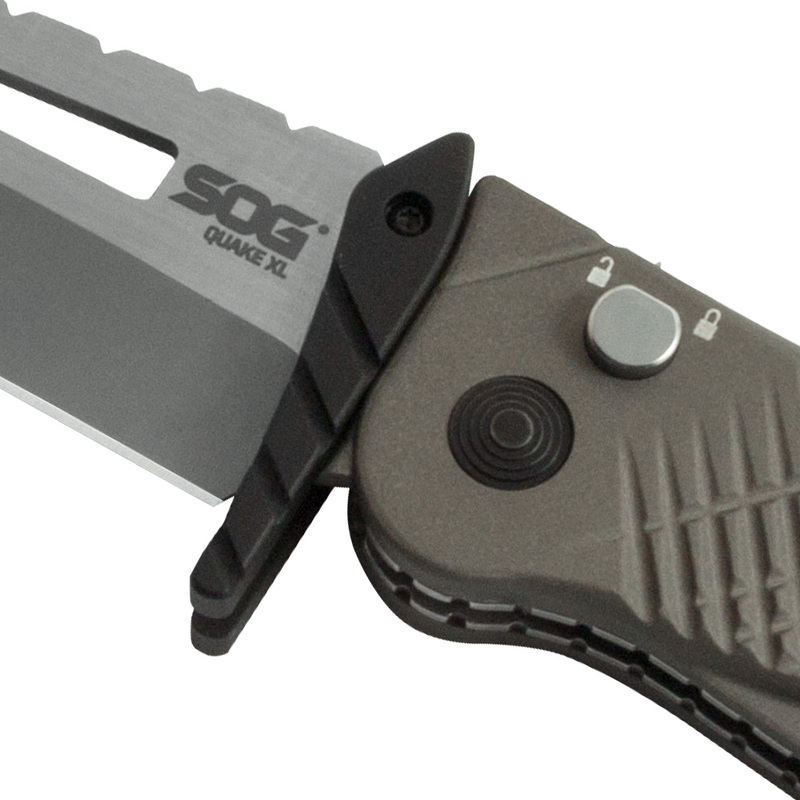 With that, it is powered by our SAT 2 (SOG Assisted Technology) that propels the blade open with just a push of a thumb. 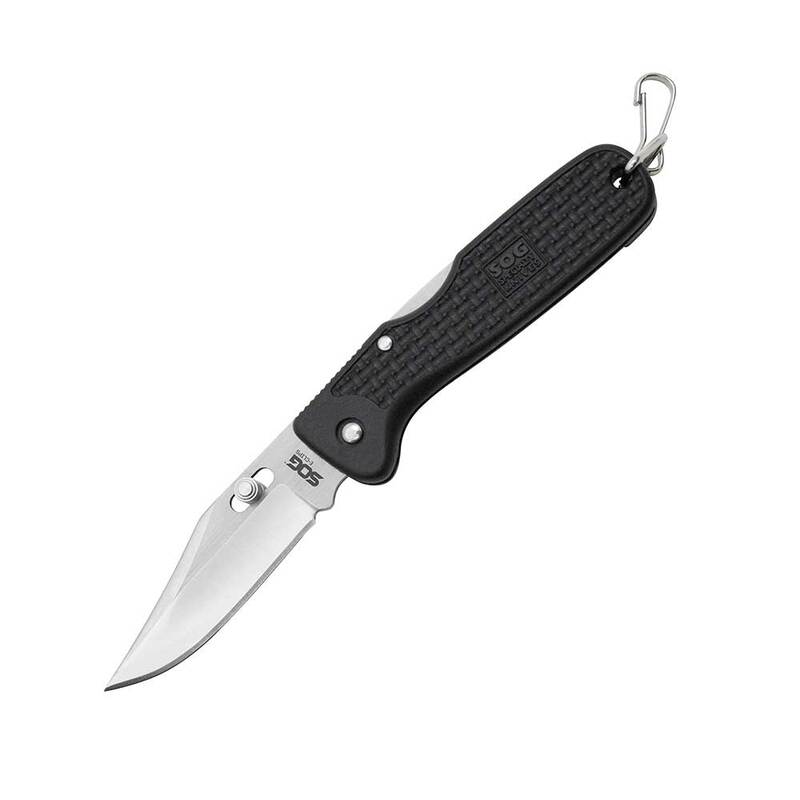 Instead of a thumb stud, the cross guard folds in when closing the knife and is used as the lever to assist with the opening motion. 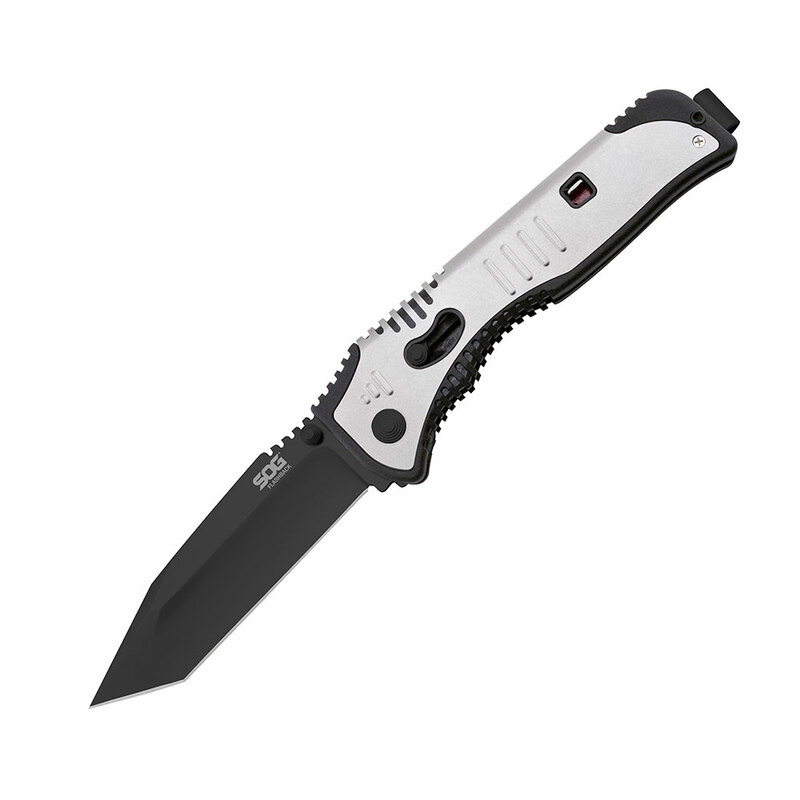 Combined with a thick dual-tone VG-10 blade, forged aluminum handles, full length stainless steel liners, the Quake is one formidable knife that packs a punch.